Birmingham Kitty Angels covers the majority of the West Midlands and Birmingham. 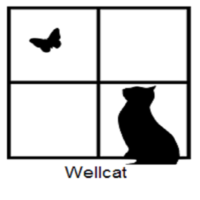 We are professional cat sitters who look after your cat in the comfort of their own home. 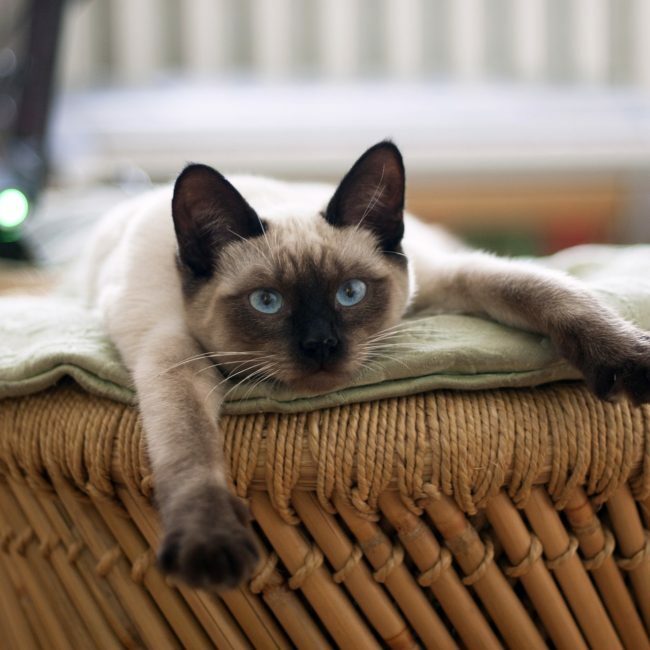 A professional cat sitter is the ideal alternative to a cattery. 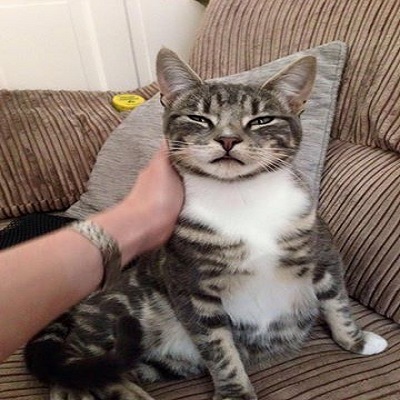 Please feel free to contact Kitty Angels Birmingham with any queries you may have via any of our contact details shown or via the contact form at the bottom of this page. Hi I’m Andrea. I mainly cover the South of Birmingham but do sometimes cover surrounding areas. I grew up with animals – they were a big part of my life. 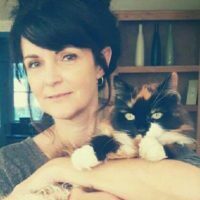 Kitty Angels is a dream come true for me – who could ask for a better job than taking care of other people’s kitties? 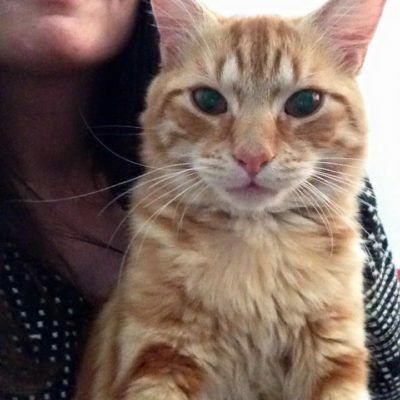 I have 2 kitties of my own – Madam Mim & Merlin, soon to be 4 though with the imminent addition of Simba & Narla. Hello, I’m Bridget, I cover Central Birmingham and surrounding areas. I just adore kitties, having grown up with them ever since I was a child. I am very active and volunteer for a veriety of local charities. I am a keen walker, you will often see me walking around the Jewellery quarter. Being a Kitty Angels is a dream come true. 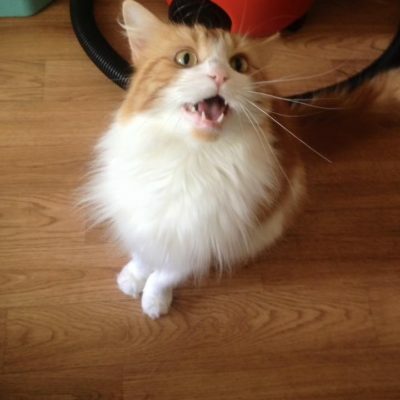 I will take great care of your gorgeous furbaby and treat it just as if it was my own! Hi, I’m Debra (Debs) and I cover the South Birmingham area. I’ve had cats all my life. 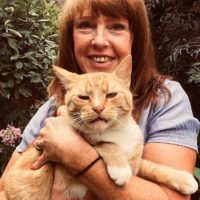 Working for Kitty Angels South Birmingham allows me to further my ambition to be a mad cat lady and it complements my other career as a gardener. At home I currently have 2 cats, Lemmy who I am pictured with and Alba. Hi, I’m Emma and I mainly cover Rowley Regis, Blackheath, Quinton and surrounding areas. I’ve grown up alongside animals and always looked upon them as part of the family. We had our first family cat Becky, when I was 5 years old and we have never been without a cat since. My old family cat Evan is now 16 years old and I now have two of my own Pyewacket and Bebe. This is an absolute dream job for me which I run alongside my other dream job which is as an artist. Hi, I’m Grace and I cover the South Birmingham area. I’ve loved animals from a young age and have worked with them since leaving school. 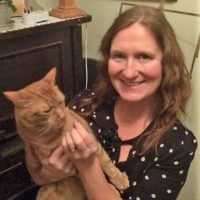 I have worked in catteries, a vets, and volunteered at an animal sanctuary. I studied animal management at college and have a level 3 diploma. At home I have a cat called Violet as well as two rabbits and a hamster! 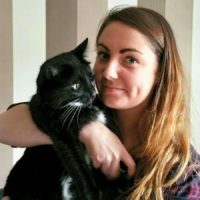 Hi, I’m Hannah and I mainly cover North & North West Birmingham, Harborne and surrounding areas. Cats have played a huge role in my life from when I was just a toddler. My main passion in life is animals, but I have a soft spot for cats. 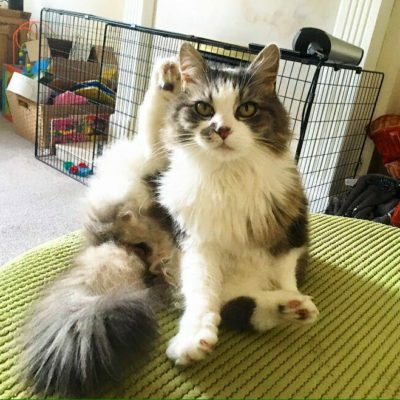 I have an adorable cat called Tommy who I love unconditionally – he never fails to make me laugh daily. 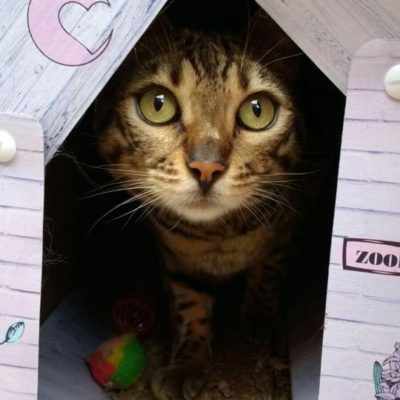 Kitty Angels is a dream come true, to be able to give love to loads of other beautiful cats is purely amazing. I look forward to each day and I’m excited to meet new cute cats. 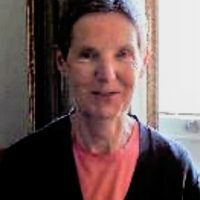 Hi, I’m Jan (or Jana) and I cover South Birmingham. I love cats and have looked after many over the years, all strays or ferals who have found me and decided to stay! I currently have 2 healthy, happy cats. Minnie (pictured above) and Marvo, a white male with ginger ears and tail. I look forward to caring for your cats. I’m Jason. I mainly cover Birmingham City Centre, The Jewellery Quarter & Edgbaston. Being a Kitty Angel is amazing! I have been a cat fan for as long as I can remember. My first kitty was Tiddles who I had as a child. I currently share the affection of our gorgeous kitty Daisy with Kitty Angel Tony. 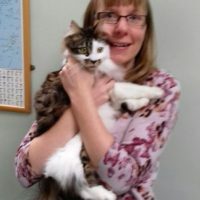 Hi I’m Jennifer and I cover Kings Heath, Moseley and the surrounding areas. 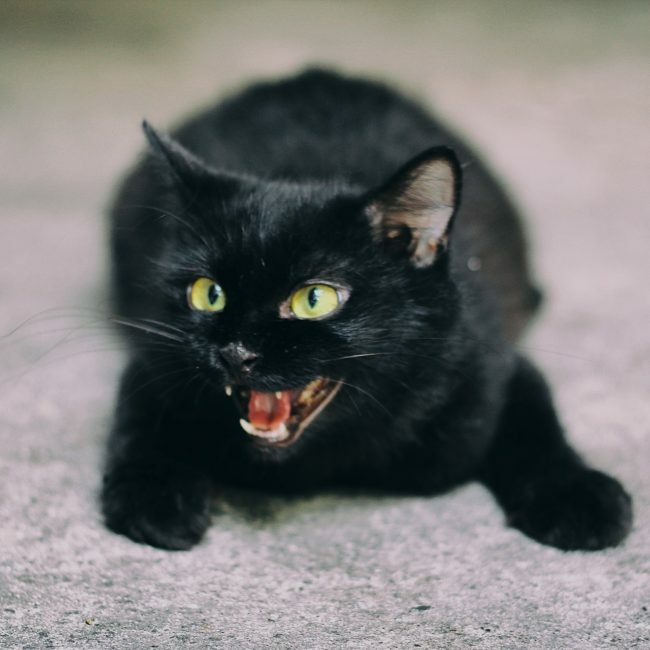 I love all animals but have a special soft spot for cats and I have 4 of my own: 3 sisters (The Coven) and their big brother, an ex-stray called Papa Arnie. Being a Kitty Angel has enabled me to meet so many incredible, beautiful cats. Every visit is a joy! Hi I’m Kate. Working at Kitty Angels is just purrfect. Everyday is as enjoyable as the last. 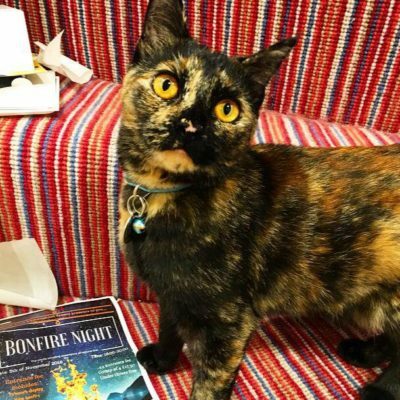 My family and I have had cats since I was young, I currently have my gorgeous Lottie – a 12 year old Tortie and White. I mainly cover Smethwick, Bearwood, Oldbury and surrounding areas. Hi I’m Kate and I help cover the South West Birmingham area. Cats have been a part of my life for over 15 years. My boys Arthur and Claud are two very well travelled kitties, having travelled to lots of different countries with me. My life isn’t complete without my two munchkins. 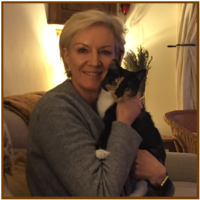 I absolutely love working for Kitty Angels – it’s wonderful to be able to do something as a job and enjoy it thoroughly! Hello, I’m Kellie and I cover Harborne and surrounding areas. I’ve been brought up with cats and the only time I can remember not living with one is when we lived overseas and we weren’t allowed! My mum is a self confessed ‘mad cat woman’ so it’s clearly in the genes..! 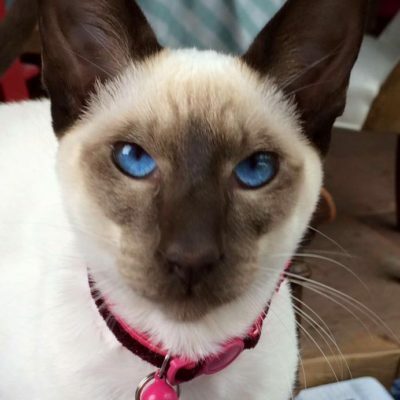 Kitty Angels is a lovely company to work for, it’s great to give pet owners peace of mind whilst they’re away and lovely for us to meet so many cats with such different characters and personalities. Hi, I’m Marie. I mainly cover Bearwood, Harborne and the surrounding areas. 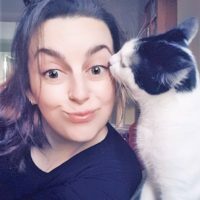 I grew up with cats, they have always been a really big part of my life and I currently have 2 cats Freddie (who I am pictured with), Frankie and a little dog called Cookie who thinks she’s actually a cat! 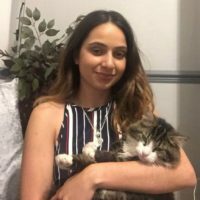 Kitty Angels is a dream job for me, I will treat your kitties as if they were my own, I understand that your kitties are part of your family . 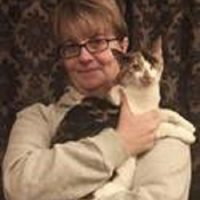 Hello I am Melanie, I’m an avid Kitty Angel and cover Bourneville and surrounding areas, I am also a kitty fosterer for Furbabies. I am currently fostering a brood of 6. Its so heart warming taking care of them until they find their forever home. 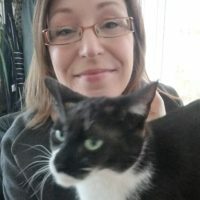 Hi, I’m Mellissa and I cover Kings Heath, Moseley and surrounding areas. 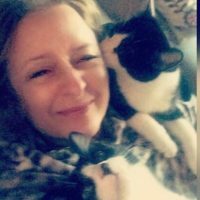 I’ve always loved animals and have had lots of pets including fish, dogs and even a pony but most of all my gorgeous cats! I am always the first that my friends call on whenever they need anyone to look after their gorgeous kitties. Little did I know that I could care for all the kitties professionally until of course I joined Kitty Angels. 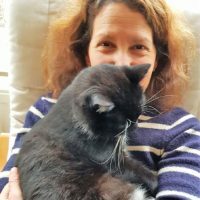 It’s lovely being part of such a cat loving team with a real honest desire to care for peoples cats and love them as much as their owners do. Hi I’m Michele and I cover Bromsgrove and surrounding areas. I currently have two cats, Juno and her daughter Jemima. I also have two bunny brothers, Simba and Fudge. I absolutely love animals and can’t wait to meet lots more fluffy friends. 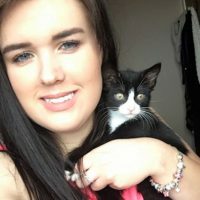 Hi I’m Rachel and I mainly cover Quinton and the surrounding areas, I’ve had kitties as long as I can remember & currently have 7 residents ranging from 1-20 years old. Working at Kitty Angels is my dream job as I get to meet and care for so many adorable and much loved kitties, you could say it’s purrfect! Hi, I’m Rachel. I mainly cover the South of Birmingham. 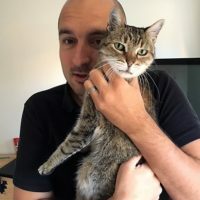 I have had cats in my life since I was 6 years old. My house isn’t a home without one or two (I’d have more but my partner says no!). 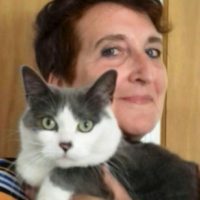 My cats are called Marvin and Gladys; they found me and my family in December 2016. They are terrorised by my young son, yet remain utter fusspots. I also make my own cordials and preserves to sell at farmers’ markets. I am so lucky to have two jobs that I love and adore!! 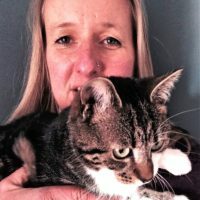 I’m Rachel B and I’m a Kitty Angel during the school holidays (when I’m not looking after furry kids, I teach the non-furry ones!) Harborne and surrounding areas. I’ve loved cats since I was little and I’ve had cats for pretty much all my adult life. My current cats are Spike (pictured) and Buffy, collectively known as Spuffy. And yes, his tongue is pretty much permanently like that! 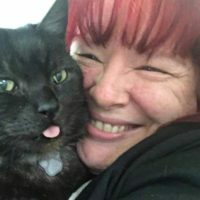 I love working with Kitty Angels and meeting so many adorable cats every day – it’s a dream job! Hello, I’m Sam! Working with animals has been my passion and ambition since a very young age, I never contemplated doing anything else. Cats are my particular favourite; they give the best snuggles, always make me laugh and they remind us to nap! I really enjoy the pleasure of visiting and taking care of them on a daily basis. 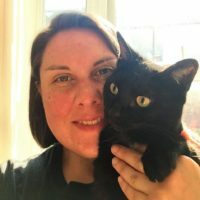 I also qualified as a Vet in June 2018; the hardest but best thing I have ever done. 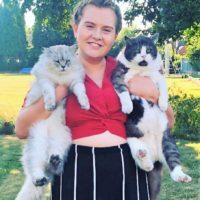 Kitty Angels has massively helped to develop my confidence since completing my degree, and practice certain skills vet school doesn’t teach us! 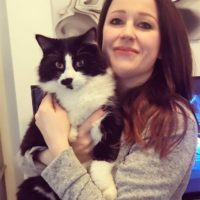 I have two cats of my own – Misty (the fluffy one) and Monty (the fat one), and I mainly work in the south Birmingham area. I look forward to meeting your kitties! 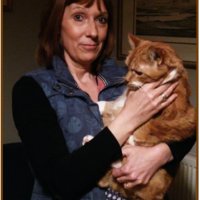 Hi, I’m Sharon, I am a huge cat lover and feel so lucky to be working with Kitty Angels. I cover Bromsgrove and surrounding areas. I have grown up with cats, along with rabbits, dogs and horses. 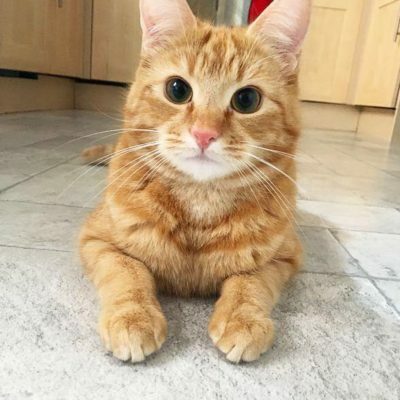 I have 2 and ½ cats (sharing one with my neighbour) 2 female ginger and white cats caked Wallis and Pixie, and 1 male black and white cat called Smidge. Hi I’m Sinead, I cover Weoley Castle, Quinton and the surrounding areas. I love being a Kitty Angel as you get to make so many memories with different four and sometimes three legged furry characters! 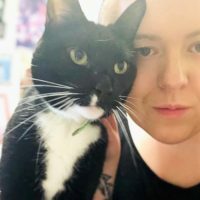 Prior to being a kitty angel I’ve completed various animal placements and I’m currently studying for a Bsc (hons) degree in Animal management. 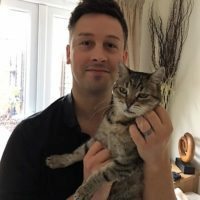 I have a real passion for working with animals but cats are definitely my favourite! I currently have two of my own Charlie who’s 6 and Lola who’s 4. 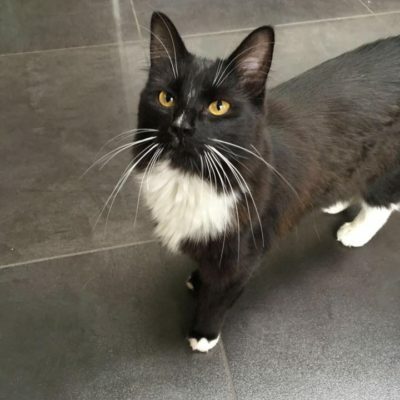 Hi there, I’m Siobhan and as a previous Kitty Angels customer I couldn’t wait to come on board and share some of the wonderful care and attention to detail experienced by my own kitties. Cats have always been a big part of my life and at the moment I am lucky enough to have Mog, Pickle and Jess to keep me entertained. It really is a dream job. Hi, I’m Steph! 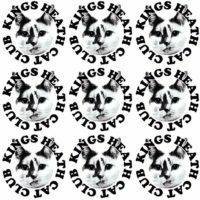 I cover Kings Heath, Moseley and surrounding areas. I’ve been a cat lover all my life having always had cats in the family growing up. I’m now proud Mommy to my two babies, Piggy and Sprout who I love very much. My other passion in life in my artwork, I do a lot of pet portraits in my spare time… especially of cats! 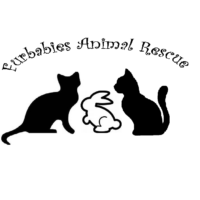 Working for Kitty Angels is a dream come true for me! I love meeting kitties of all kinds. It’s a pleasure to look after your babies while you’re away. I’m Tony. Having been a real cat lover all my life, I can’t think of anything I’d rather do. I mainly cover Edgbaston & Selly Oak, I sometimes go further afield if needed. 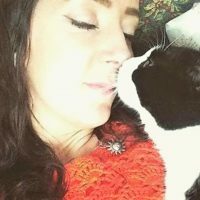 I have always loved cats and I have a gorgeous kitty called Daisy that lets me look after her.